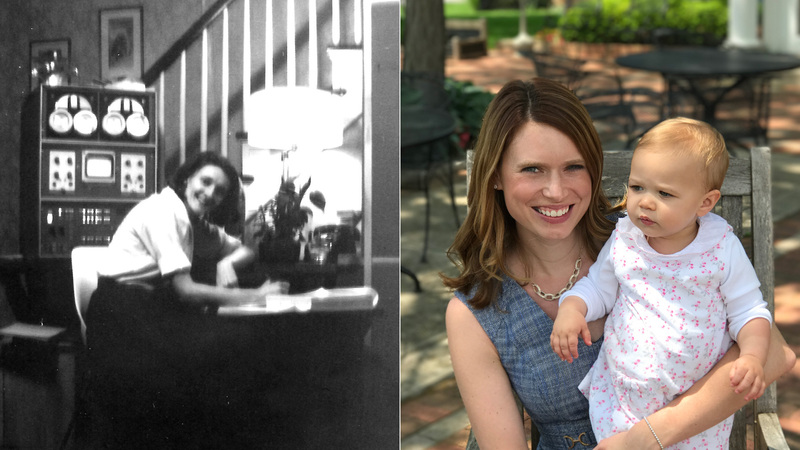 To celebrate Women’s History Month, we invited Alyssa Myers, who leads software development for XPO’s mobile apps, to share how she’s been professionally inspired by those who preceded her in her field. As Alyssa relates, there can be striking similarities between the people we are now, and the lives led by those who paved the way for our success. I’ve always admired Mary Allen Wilkes. An accomplished professional in both technology and law, she’s best known for helping design one of the first personal computers – and then taking it home and becoming the first person to work remotely. Her ability to overcome challenges and throw herself into uncharted territory, often against the advice of others, is the trait I love and respect the most. As a young college graduate in 1959, Mary wanted to go into law, but every professor warned her against it. The sexism of the time promised a life in front of a typewriter instead of a judge. On a whim, and the advice of an old junior high teacher, she tried computer programming instead. Mary joined MIT’s Lincoln Laboratory before programming was a subject offered for study in school. She worked on several different computers, including the LINC. The first minicomputer with its own screen and keyboard, the LINC was a precursor to the personal computers we use today. In stretching outside her comfort zone, Mary found success and comradery with her fellow programmers. Eventually the team working on the LINC relocated to St. Louis. Not wanting to uproot her life, Mary asked them to ship her a LINC of her own. It was the 1960’s – this was a first. Her audacious request was approved, and soon Mary was working out of her living room on a computer the size of a refrigerator. She’d become the world’s first remote employee. Despite her many accomplishments, Mary found herself missing the comradery of her peers and feeling, in her words, socially isolated. Knowing she owed it to herself to explore new opportunities, she took a tremendous leap of faith. Despite all the advice she’d gotten not to enter the field of law, Mary decided to attend Harvard Law School and became a successful lawyer with a career spanning four decades. I see echoes of Mary’s story in my own life. I graduated with a marketing degree, but I craved something the entry level jobs in my field didn’t offer. Fresh out of college on my first day of work, I took to Google to learn how to write code – how to structure logic, organize information and refactor to achieve simplicity, both professionally and personally. Like Mary, I felt the social isolation of my career as a developer setting in as the years wore on. I may not have left the field like Mary, but I craved more personal interaction, so I joined a startup as a business analyst. It was a chance to bridge my programming background with people I loved to be around, and it started me on the path that eventually brought me to XPO. Because of Mary’s example, I knew I could take risks and try new ventures. She’s achieved so much, but some of Mary’s best qualities aren’t her accomplishments. They’re her character attributes—qualities I strive to live by every day. Know yourself. Throw yourself into new things with passion. Never settle. Mary’s courageous audacity reminds us that it’s never too late in life to pursue a new path; to follow your passions and do what’s right by your future.